The Air Jordan 2012 Lite is one of the featured shoes from Jordan Brand this September for it will be released in nine impressive colorways. 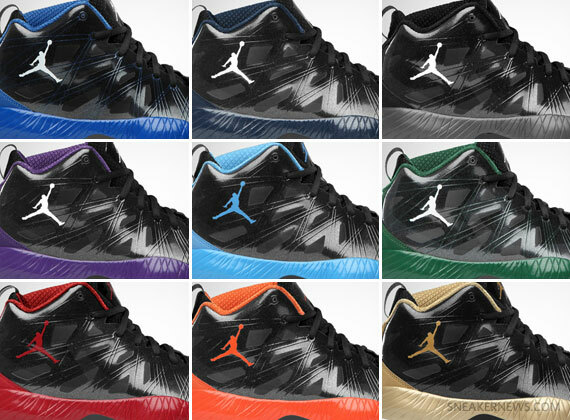 The much-improved edition of this year’s signature shoe from Jordan Brand will be released in Black/Game Royal – Light Graphite – White, Black/Midnight Navy – White, Black/White, Black/Club Purple – White, Black/University Blue – White, Black/Gorge Green – White, Black/Gym Red – White, Black/Blaze Orange – White, and Black/Metallic Gold – White colorways. This month’s package looks like a preparation for the upcoming collegiate basketball season. Get a pair for $150 now and you will surely get your money’s worth!